Launch the app and find the memory indicator in the menu bar. 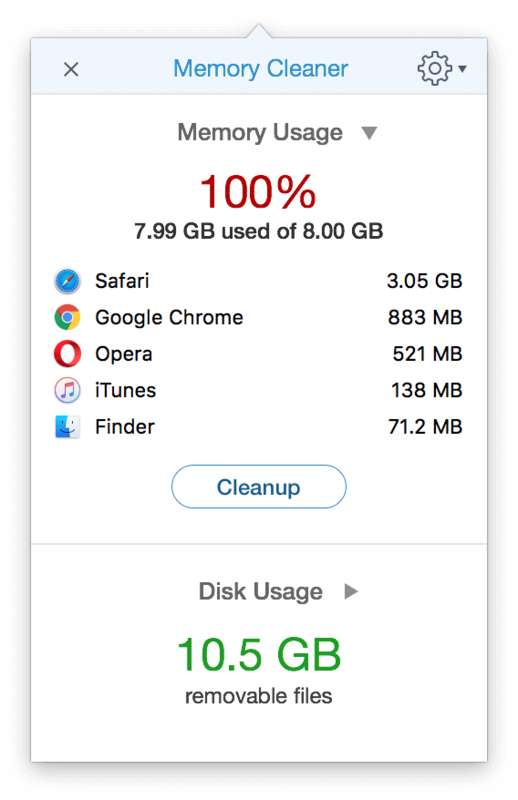 Memory Cleaner scans your system regularly and shows the memory usage for each application that is used. In the RAM monitor, you can see the amount of free RAM, the size of the RAM being used and the amount of memory occupied by active applications. General memory usage is displayed both by percentage and in GB.